Mausoleum Horror Convention films announced! Closing out the Mausoleum Horror Convention on June 16 will be the Philadelphia Premieres of MANBORG and COMFORTING SKIN. 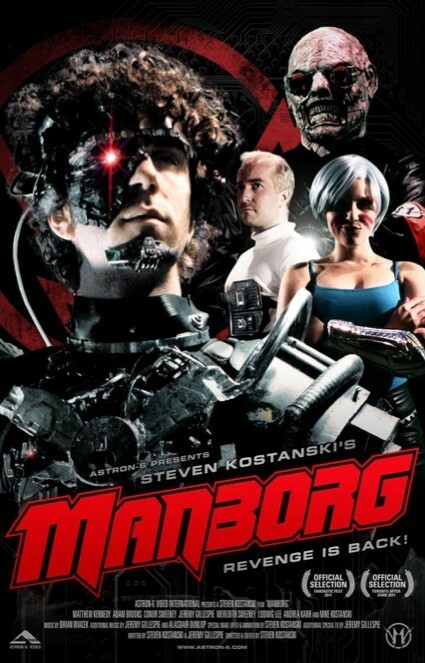 Half-man, half-cyborg: Manborg. Killed while battling the forces of hell, a supersoldier is brought back from the dead in order to fight an army of Nazi vampires and demons led by the nefarious Count Draculon. Cue kung-fu killing, stop-motion monster battles, hoverbikes, robots, demons, and a character named Doctor Scorpius. A self-conscious tribute to the golden age of early 90s genre cinema. * Recent screenings include Fantastic Fest, Toronto After Dark, and Brisbane International. An emotionally fragile woman’s lonely reality is shattered when her tattoo seemingly comes to life. Offering its undying attention and otherworldly sensual pleasures, the tattoo quickly seduces, drawing her into a dangerous and all consuming bond that requires more than she may be able to give. * Recent screenings include the Vancouver International Film Festival, the Slamdance Film Festival, and the Imagine Film Festival Amsterdam. Both films are presented by The Awesome Fest. Showtime is 10 PM on Saturday, June 16. This double-feature serves as the closer for the Mausoleum Horror Convention, admission for the convention is $12, admission for the movies-only is $7.